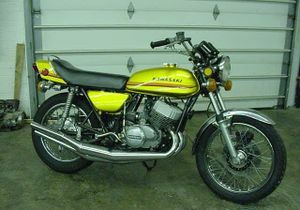 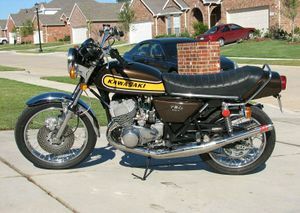 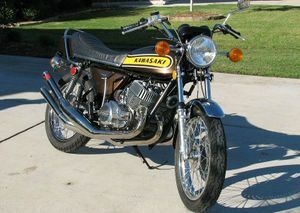 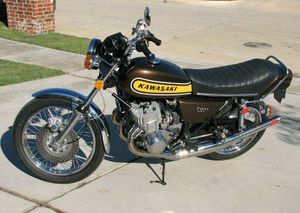 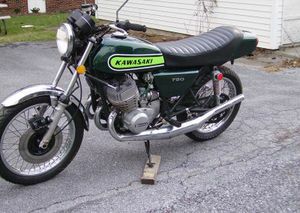 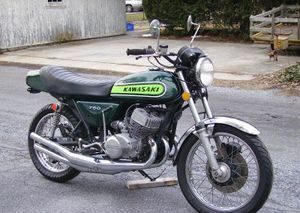 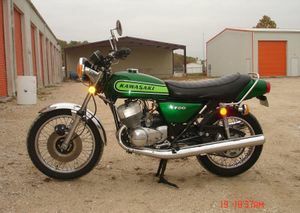 The Kawasaki H2 was a 750cc, triple cylinder, two stroke, street motorcycle manufactured by Kawasaki from 1972 through 1975. 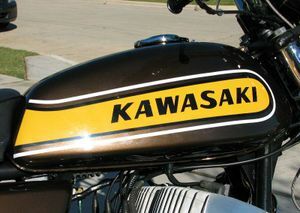 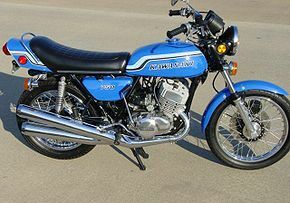 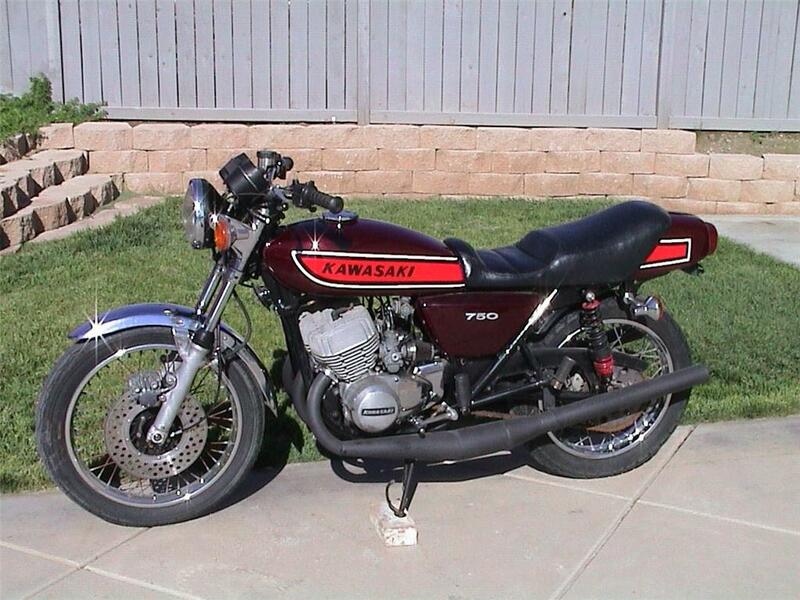 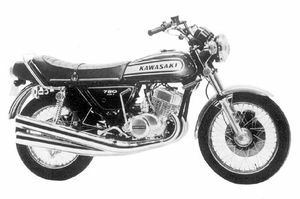 The H2 followed the success of the Kawasaki H1 "Mach III" in 1970 and was recognizable by the triple cylinder 2-stroke style engine also shared by its smaller brothers, the Kawasaki S1 250cc, Kawasaki S2 350cc, Kawasaki S3 400cc, and Kawasaki H1 500cc. 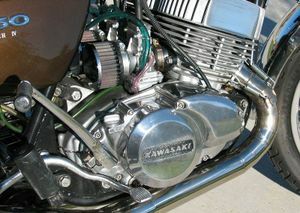 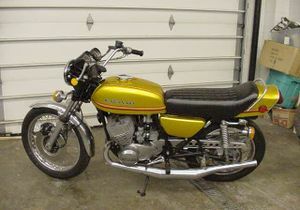 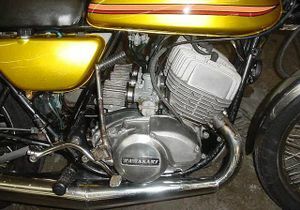 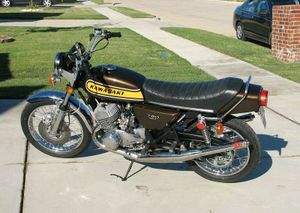 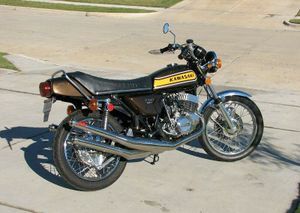 The 750cc H2 was the top of the line of three cylinders. 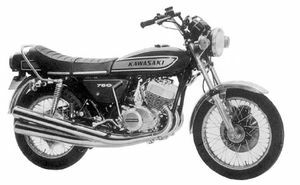 The H2 set the standard for performance, becoming the quickest bike available with quarter mile times of 12.28 seconds @ 110.29 mph. 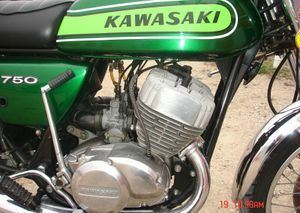 The H2 once again proved that Kawasaki was at the top of the performance market. 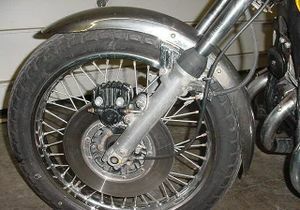 It was sometimes called the "Widowmaker". 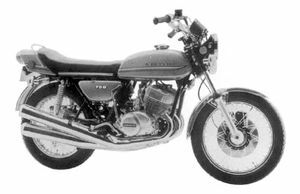 In 1972 the AMA changed the nation championship road races to the 750cc displacement limit used by the FIM in Europe. 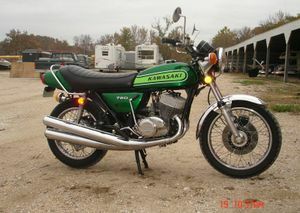 The H2R was made available to race in this newly-formed class. 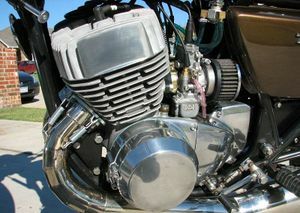 Immediately, the H2R was a major contender winning three out of seven AMA races- more than any other manufacturer. 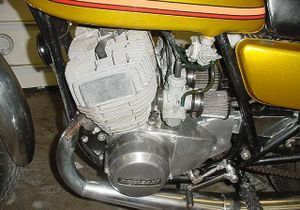 The H2R produced between 80 and 100 HP, depending on port timing and compression ratios. 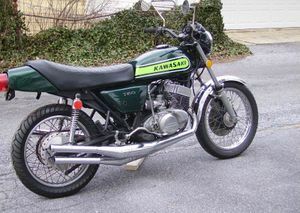 The H1R and H2R became known as "The Green Meanies". 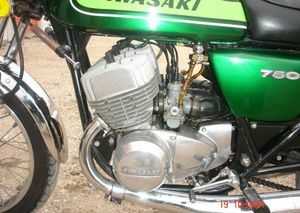 Remarks: Two-stroke, triple-cylinder engine with oil injection and CDI ignition system. 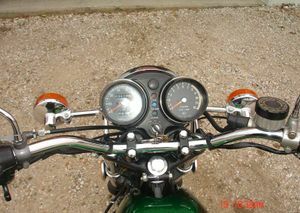 Equipped with front disc brake, chain oiler, and steering friction damper. 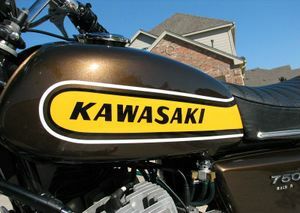 Major Changes: Color and marking. 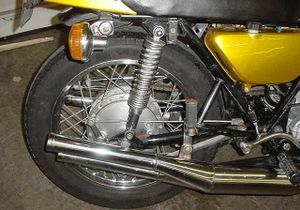 Steering oil damper and check valve adopted. 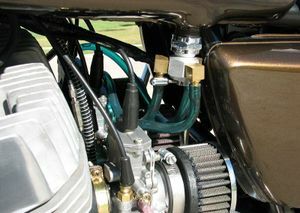 Major Changes: Color, marking, and steering oil damper position.